Most writers are familiar with NaNoWriMo - National Novel Writing Month. 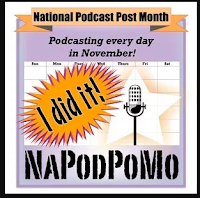 But how many of you know about NaPodPoMo? Now in it's 11th year, National Podcast Post Month gives people a different kind of challenge. Post 30 podcast in 30 days. They can be long, short, audio, video, both. Use any platform you desire, says NaPodPoMo creator Jennifer Navarrete, from full production studio to iPhone app and just about anything in between. The idea is to create and publish 30 of them during the month of November, and use it as a podcasting bootcamp. And, similar to NaNo, you have eliminate the idea of perfection and just get it done, as you have a massive undertaking in a short amount of time. That being said, if you plan to participate in NaNoPodMo, now is the time to start planning. This is essential whether you want to launch, rebrand, or revitalize your podcast. Let's back up. Why podcast? For the same reason you have a blog, a podcast enables you to showcase your personality, as well as your expertise, and really connect with your readers, prospects, and clients on a personal level. Adding the element of audio and/or video really amplifies that connection. Whether your goal is to create a series or you just want quick clips to enhance your content, there are easy ways to make a podcast happen. Audio. Record, edit, and format audio podcasts. Find a podcast hosting platform (such as Libsyn or PodBean) and then syndicate it to sites like iTunes, GooglePlay, and Stitcher. You can even consider creating Alexa Flash Briefings. Video. Record video podcasts, either in person or via a video platform, like Skype. Use a tool, such as Evaer for PC or Ecamm Call recorder for Mac, to record. You can also pull out the audio to syndicate on the above mentioned platforms. Edit (add captions, call-outs, and calls to action) if you want. And upload to YouTube, Facebook, and/or LinkedIn. Break it into smaller pieces and share on social media platforms. Live Video. Broadcast live on Facebook, YouTube, Twitter/Periscope, and Instagram. Then download, edit (add captions, share, and embed on your blog. Before you go down the podcasting rabbit hole, run it through the D*E*B Method to start things off on the right foot. - Define your Mission. Why do you want to start a podcast? This is in addition to any personal or business benefit. How will it help others? - Explore your Options. What format? And what type of podcast? Interview, solo, tips, instruction, education. Length? - Brainstorm your Path. Decide what you want for your podcast and figure out how to make it happen. Create a checklist. Be sure to determine name, tag, type, cover art, hosting, length, interviewees, anything and everything. Once you have ideas in order, you'll be able to jump into November and begin your podcast on the right foot! For more podcasting tips, read the Podcasting #GoalChat recap. 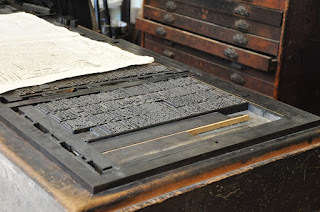 Learn more about NaPodPoMo. Do you have a podcast? What is it? How is it benefiting your business? Please share your experience and your podcast link in the comments. 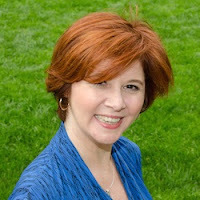 Debra, podcast post month is in it's 11th year! I like the idea of using a podcasts for quick tips. 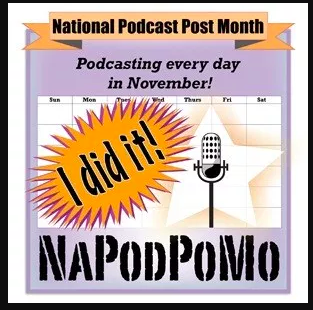 I was reminded of NaPodPoMo when I met Jennifer - aka @epodcaster - on a Twitter chat. I just love the concept of a monthly challenge for ramping up any sort of project.